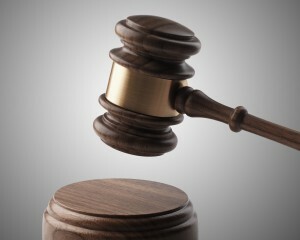 Yet another federal judge has concluded that an individual whose personal information was allegedly accessed during a data breach lacks standing to sue unless and until there has been a misuse of that personal information or such misuse can be proven “imminent.” See Storm v. Paytime Inc., No. 14-CV-1138, 2015 WL 1119724 (M.D. Pa. Mar. 13, 2015). In April 2014, hackers gained unauthorized access to the computer systems of Paytime, Inc., a national payroll service company. Several employees of companies that use Paytime’s services later filed suit against Paytime and sought class certification, alleging claims of negligence and breach of contract. In response, Paytime moved to dismiss their claims, contending that plaintiffs lacked standing or, in the alternative, that they had failed to state claims as a matter of law. Likewise, in Paytime, the plaintiffs alleged they were at an increased risk of identity theft, spent time and money to protect themselves from identify theft, and have suffered “actual damages.” What they failed to allege, the court explained, were “allegations of misuse or that such misuse is certainly impending.” None alleged that they had actually suffered any form of identity theft or even that any of their data had been misused.